TBILISI/MOSCOW (Sputnik) - The final turnout in the presidential election that was held Georgia on Sunday has amounted to 46.74 percent, marking a slight increase compared to the 2013 presidential election, the Georgian Central Election Commission's spokeswoman, Ana Mikeladze, said. 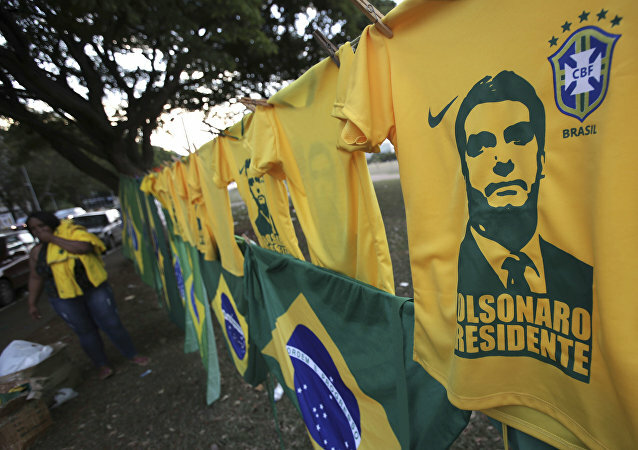 Right-wing firebrand Jair Bolsonaro is on course to become the next President of Brazil after he outstripped a left-wing candidate in the first round of elections. Sputnik looks at the man who is hoping to replicate some of Donald Trump's policies in Latin America's largest economy. Ecuador will hold the second round of presidential election and Lenin Moreno, a candidate from the ruling PAIS Alliance party, is currently the leading candidate following the first round of the election, Ecuador's National Election Commission (CNE) chief Pablo Pozo said in a statement. The Bulgarians will casts their votes for either Rumen Radev or Tsetska Tsacheva on Sunday during the second round of the presidential election. The second round of presidential elections in Moldova will take place on November 13, a source in the Central Electoral Commission told RIA Novosti on Monday.